[26% OFF] 2019 ZAFUL High Cut Thong Zebra Underwire Swimsuit In LIGHT PINK | ZAFUL ..
Stay confident and comfortable in our figure-flattering one-piece bathing suit! 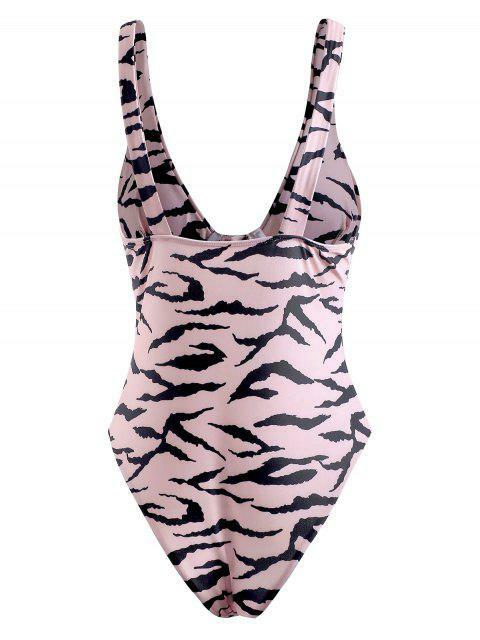 Featured zebra patterns throughout the style, this swimsuit boasts a sassy plunging collar with snap buttons underneath and strong underwired cups to help shape the bust. Wide shoulder straps for added effortless support. And the super high-cut openings perfectly elongate the legs for a more flirty style. Padded cups can be removed for breathability.